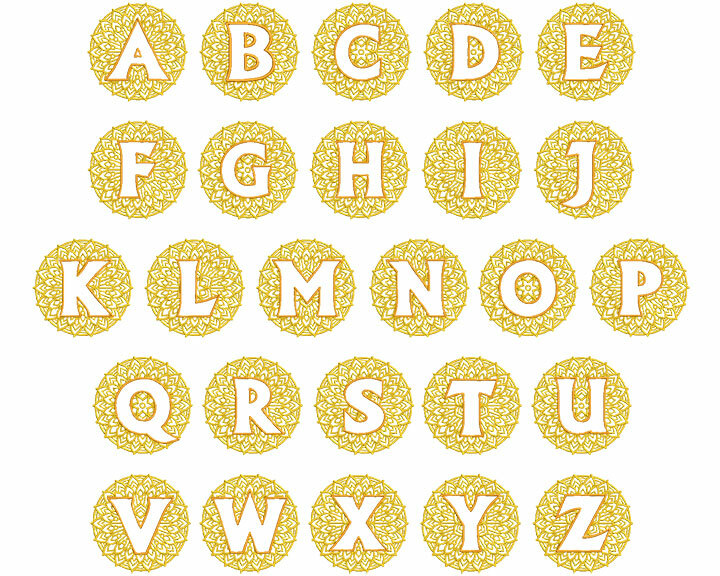 Mandala Monogram 120mm Font comes in Wilcom .ESA format. It loads directly into your Wilcom software. 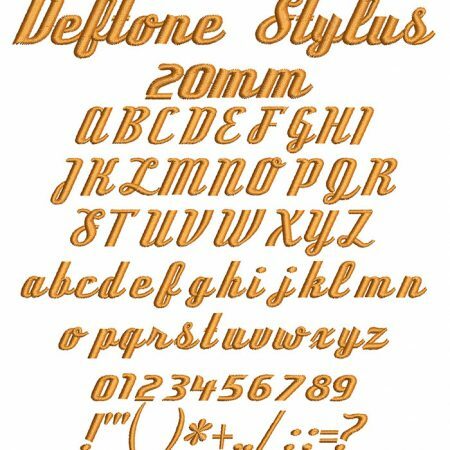 For best results, we suggest that you keep the size of this particular font at 120mm / 4.72in. or greater. How to install fonts into your software? The font downloads as a zip file. You will need to unzip them. Once you have unzipped the file, load it into your software. Be sure to download step by step instructions on how to load the fonts. 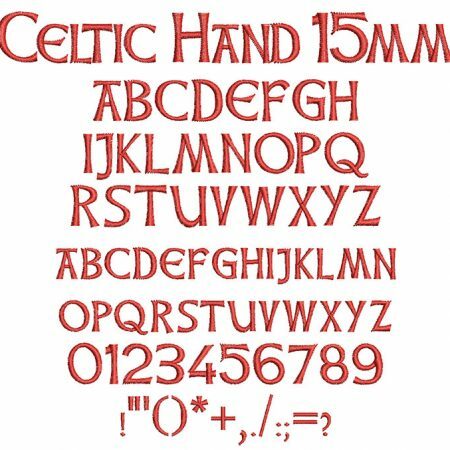 © COPYRIGHT NOTICE All ESA font designs are copyrighted by Dress Crest Embroidery Co. Ltd. 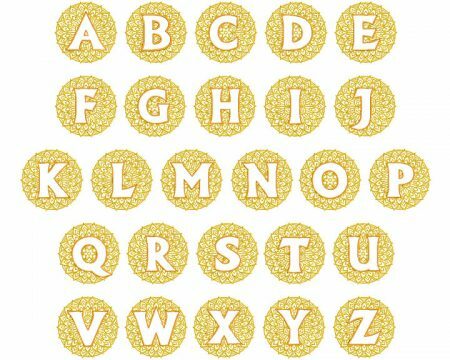 The fonts may not be distributed electronically in any format or by any method, either altered or unaltered, without the express written permission of Dress Crest Embroidery Co. Ltd.. 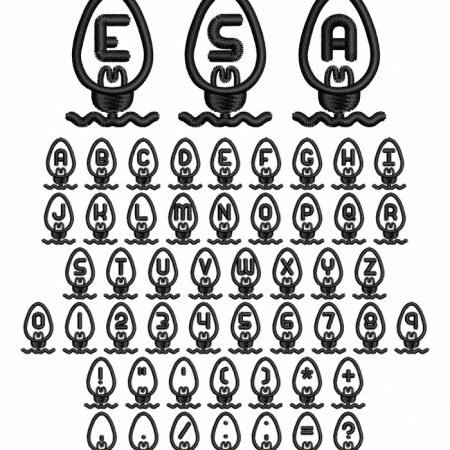 PLEASE NOTE: sharing or selling the ESA font files is NOT permitted under any circumstances. 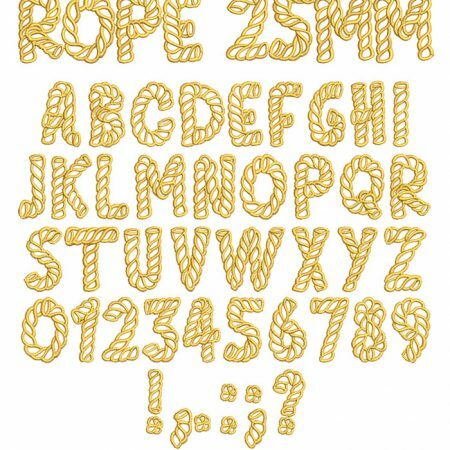 ESA fonts can be used within finished items for sale and can be used for adding the embroidered text within digitized designs for sale which are converted to embroidery formats. They cannot, however be converted from an ESA file to stitch files and sold as font sets of themselves. ESA fonts cannot be sold as a font set converted to stitches files (including BX format), even if other designs are included. By purchasing this design, you acknowledge that you agree to the License Terms. 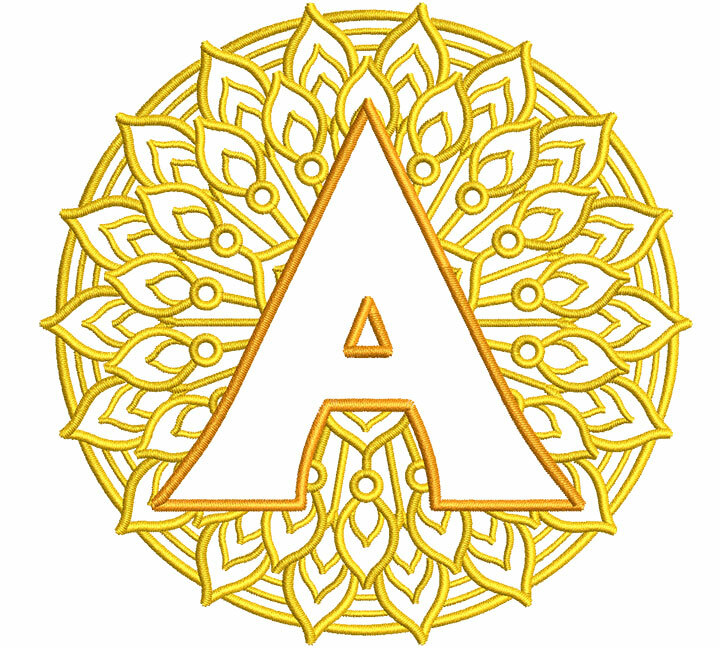 Dress Crest Embroidery Co. Ltd. grants the purchaser to unlimited use of its font designs. USER LICENSE AGREEMENT Dress Crest Embroidery Co. Ltd., is providing you a limited license to use the embroidery design files (the “Font Design Files”) subject to the terms of this USER LICENSE AGREEMENT (this “Agreement”). Click here for complete copyright notice agreement.